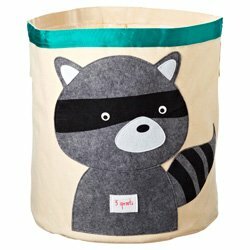 Wouldn’t this be super cute in a young child’s room storing toys or laundry, or in the nursery storing baby care items? I think yes. Target calls my beloved canvas bucket a basket. While I found mine in the makeup aisle, it didn’t belong there. I found others in the bath towel section of Target, but I couldn’t find this item online. So if you’re interested in this bucket, head to Target and then head to the bath towels department. 5) If you’re looking for other home storage ideas, check out my home storage solutions pinboard on pinterest. Great solution! I have the same complaint about my local Target. It’s nice to be able to pick up a few food staples, but I miss the other stuff. I’ve tried doing all my grocery shopping there, but I couldn’t get everything I wanted, plus layering a regular grocery run onto a typical Target run was just too exhausting! My local store doesn’t carry the Itso bins (which you introduced me to) either, & last I checked I couldn’t order them online. Oh well. Still, I don’t think I’ll ever stop loving Target. Oh wow, Nancy, you’re right. They don’t sell them online! And what’s worse is when I see how many of the other local stores do have them when mine doesn’t. Anyway…thanks for sharing your thoughts! Love the bins. I don’t have any, but I could see using them to manage the messes my two boys create. we have Target banana madness here in Philly. I ised to enjoy the weekly circular but now it is just a food store. Thanks, Nita and Karen for your comments! I agree about the circulars, Karen. Evi, that is a great idea to contact Target and ask them to carry the itso bins or sell them online. I’m pretty sure they used to sell them online, so now it’s a double whammy. The second closest store to me also doesn’t carry them. But you’re right…how can they fix a problem they don’t know they have. Thanks for the idea. UPDATE: I went to my Target last night and saw that they had some of these canvas buckets (different colors) and they are now on clearance. So, if you want one, act fast my friends. I very much dislike having all the additional grocery items in my Target! I also thought I’d love it at first but it really made for a confusing layout in our store with less of the other stuff that made me love Target (and now all the organizing stuff is way in the back corner!). It also took my 7 year old son to notice that what I thought was a good price on bananas at 25cents a lb. was not so great as the bananas are actually priced at 25 cents each! I think I’ll still with my local grocer for groceries. Very nice basket! I’m loving that teal colour :). In Alberta, Canada we are finally going to get a Target next month!! I’m very excited to check them out. Just listened to the Paperclipping Roundtable podcast you were in. Thanks for the great ideas – I’m excited to reorganize my own scrap area! Glad you enjoyed the PaperClipping Roundtable. Thanks for letting me know. I LOVE buckets and baskets! My problem is often out of sight – out of mind. How do I get people to look back into the buckets? I love your suggestion to only buy a container when you know what you will do with it. I love, love, love containers of just about any kind and when I volunteer at a local Thrift Shop (used items) I come home with all kinds of neat stuff thinking I will use it somehow, some way. (Often I do!) Problem with a store like that is I know I might not find that item ever again so I buy it and it truly does turn into clutter until I find that special use. Hmmmmm! Self control!! 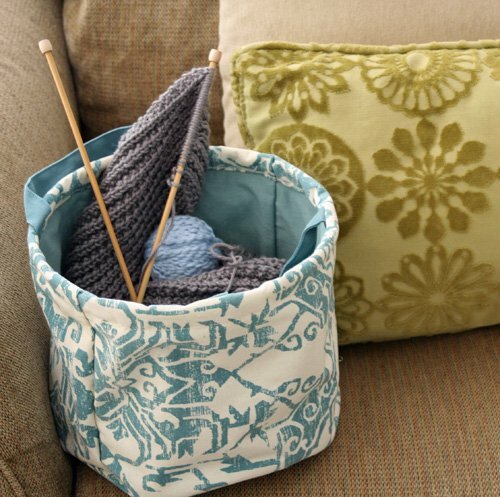 Canvas bucket is convenient and gives an attractive storage for trinkets at home. My wife loves to use these as storage for her yarn and other DIY materials. I know some stores in Gold Coast that sell these by the bulk. 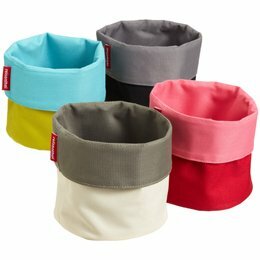 These canvas buckets can also be good for gifts during the Christmas season. 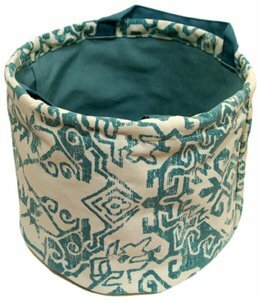 Canvas bucket is a cool idea to dump laundry clothes. Nice alternative. 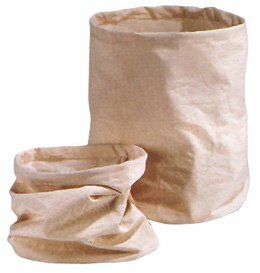 I love to have fabric containers for my home. Thanks for sharing it.